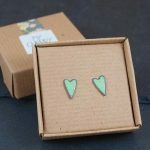 Romantic heart copper stud earrings in Apple Green. 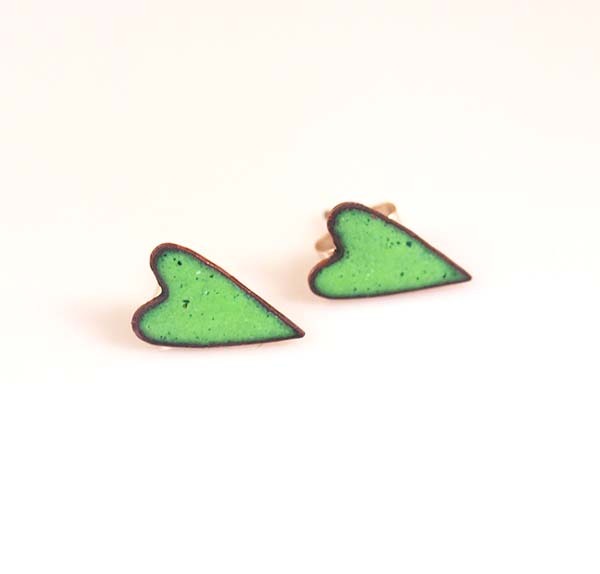 This is a gorgeous sharp apple green colour, they would sit well beside denim or a slate grey. 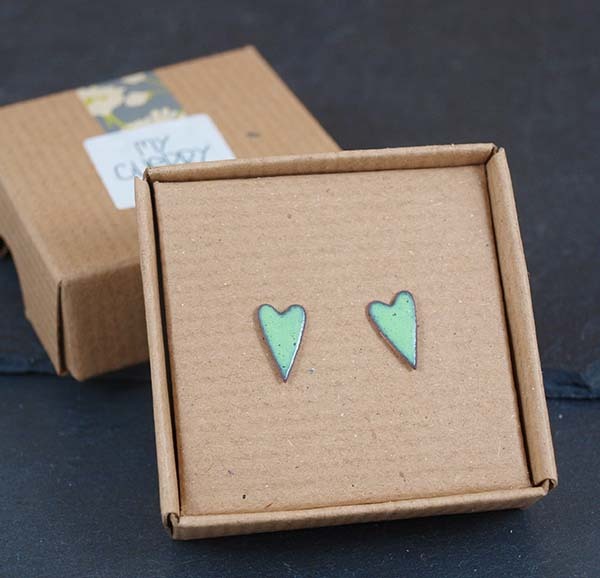 A thoughtful gift idea for a bridesmaid, or anniversary gift. 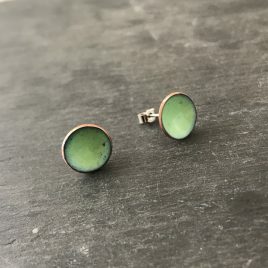 The earrings are 12 x 6mm in size and have a sterling silver ear post and scroll. 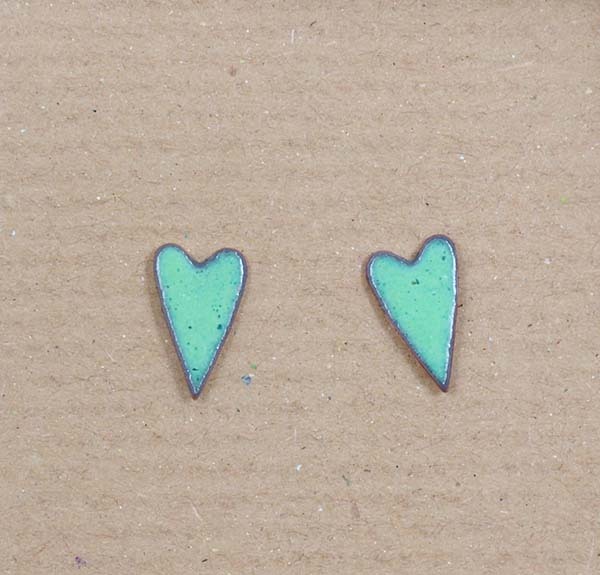 A whole host of other colours are available or if you need to match a colour I would happily do that for you too. 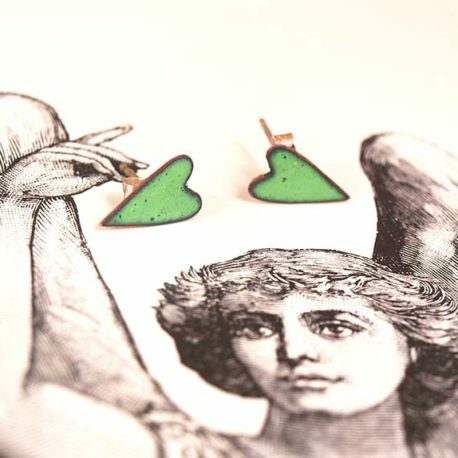 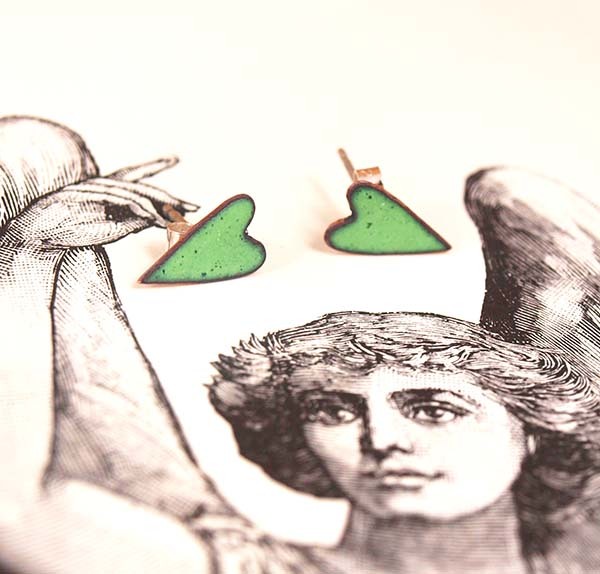 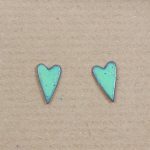 Apple Green copper enamel heart stud earrings are delivered to you gift ready in a decorated gift box. 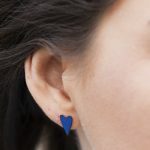 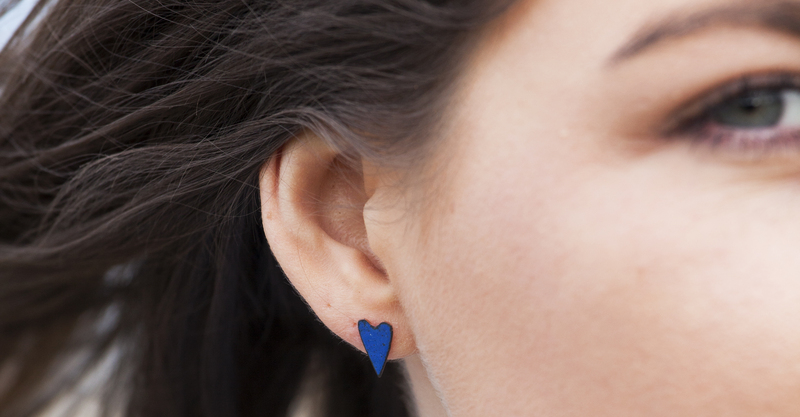 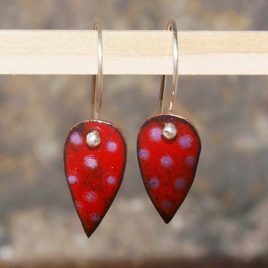 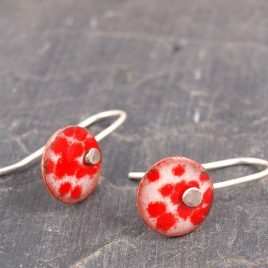 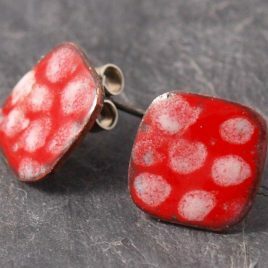 These earrings are also available in silver with a transparent enamel.